Gunisigi child center, a privately owned clinic started in 2004, works with children and their families. We have two convenient locations in Istanbul (please refer to map for directions). 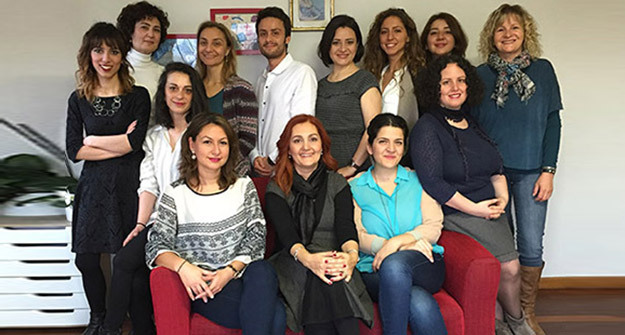 Our experienced staff of professionals holds degrees and certifications from well recognized universities in Turkey, Europe, and the United States. Gunisigi is here to help enhance the quality of a child's life by improving their ability to communicate and relate with their family and their peers, so that they may reach their full potential. We believe children are unique indivi duals and tailor therapy for them. We are dedicated in providing parents and caregivers with consistent support and education in order for your child to carryover skills targeted in therapy to all aspects of their lives. We believe in a team approach and in doing so, incorporate other professionals (i.e., doctors, teachers, school staff) as needed. Confidentiality is important to us. All information and records about you and your child are shared with third parties such as medical doctors and teachers only with your written consent.